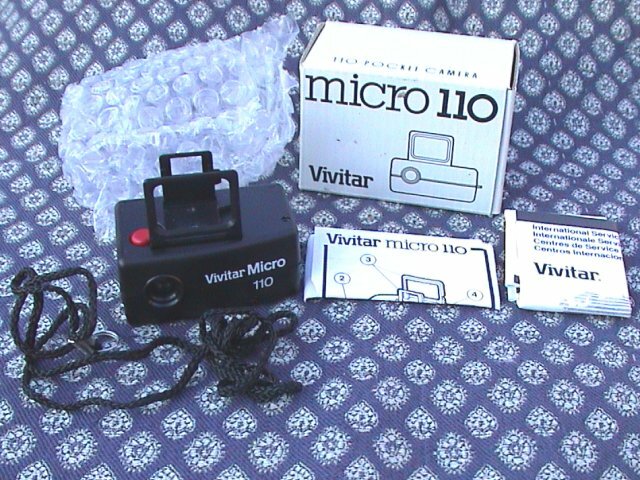 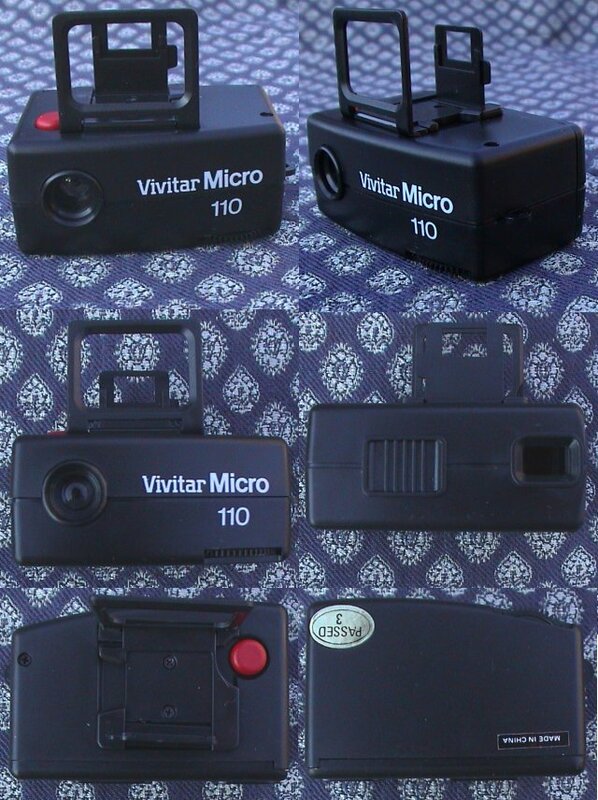 Vivitar have made a number of 110 cameras (see http://www.subclub.org/shop/vivitar.htm) including the Micro 110, a small key chain type camera. 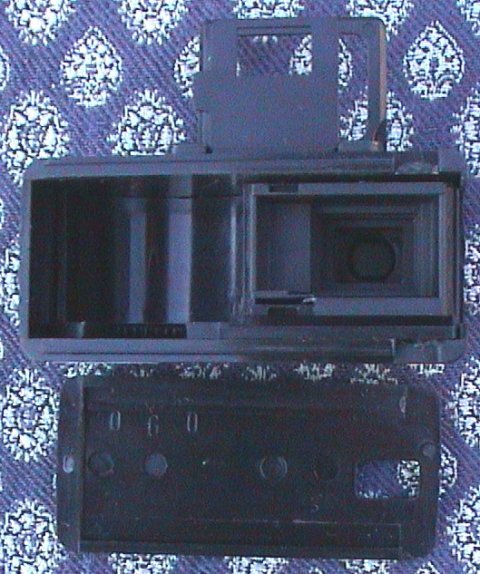 This is really half a camera as the 110 cartridge is only partly contained by the camera housing. 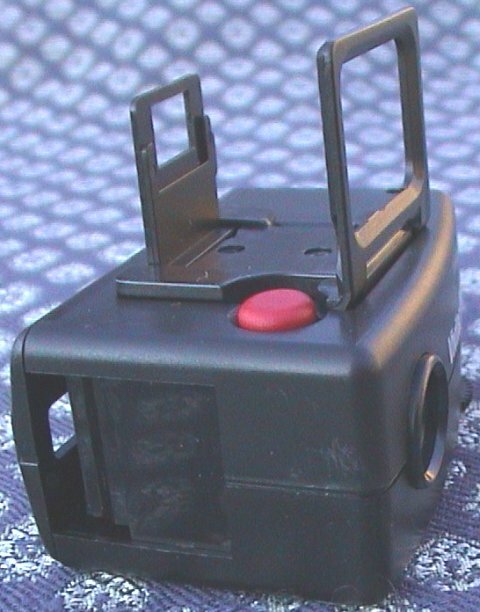 The camera provides the film advance mechanism and simple shutter.